When people look at the law of God, they can view it in one of two ways. They can either see it as a ladder or a mirror. When People view the law of God as a ladder, they think that they can climb the ladder to God. In other words, they think that by obeying the commands of God they will come close to God. These are those who think that their good works are enough to please God. When people view the law of God as a mirror, they look to the law and use it to reflect upon their own lives. What they see is not good. They see how they have failed to live in the ways that God prescribes. The law causes them to see their sin. The teaching of the Bible is clear. The law is not a ladder, but a mirror. Paul wrote, “By the works of the law no human being will be justified in his sight, since through the law comes knowledge of sin” (Romans 3:20). Paul’s experience bore this out. He said, “If it had not been for the law, I would not have known sin. For I would not have known what it is to covet if the law had not said, ‘You shall not covet'” (Romans 7:7). Seeing his sin, Paul was drawn to the Savior. You won’t be justified before God by climbing the ladder of works. The only way to God is to see your sin and trust in Jesus. We are “justified by faith” (Romans 5:1) not by works. Suppose someone came up to you and offered to give you a car. Wouldn’t that be an amazing gift? Suppose they offered to give you a million dollars. That too would be amazing. Suppose they had the power and ability to offer to you the promise that you would never be sick the rest of your life. That would be incredible. Now, finally, suppose that you were offered the opportunity to live forever. Would you take that gift? Incredibly, this is what God has offered to us in his son, Jesus Christ. The Bible says, “the wages of sin is death, but the free gift of God is eternal life in Christ Jesus our Lord” (Romans 6:23). Eternal life is God’s gift to us if we would but receive it by believing in Jesus. If we refuse, we can expect to receive the wages of our sin. 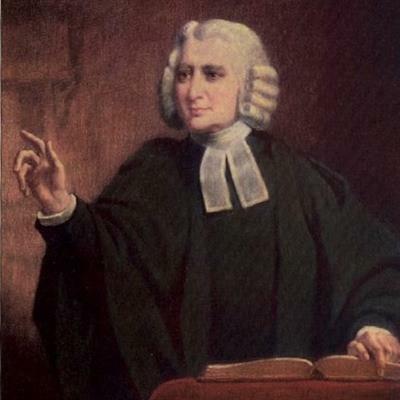 At that point in time, Charles Wesley was just like the Jews of whom Paul wrote, “I testify about them that they have a zeal for God, but not in accordance with knowledge. For not knowing about God’s righteousness and seeking to establish their own, they did not subject themselves to the righteousness of God” (Romans 10:2-3). It’s no wonder why Peter Bohler went away sorrowful. He longed for Charles to know true grace, just at Paul did the Jews: “Brethren, my heart’s desire and my prayer to God for them is for their salvation” (Romans 10:1). It is only through Christ that one is made righteous, as Paul wrote, “For Christ is the end of the law for righteousness to everyone who believes” (Romans 10:4). But, such was the state of Charles Wesley’s soul at this time. He was trusting in his religious zeal for his salvation, not in the finished work of Christ. This was the thrust of the “Holy Club” that Charles and his brother John formed during their days in Oxford together. They were pursuing zeal for Christ, with (or without) faith in Christ. Rather than their efforts leading them to see their own sin (i.e. Romans 3:20), it drove them to continue working and striving for their own righteousness. Such striving gave no hope for them. The good news is that a few months later, Charles came to trust in Christ alone for his salvation. In his journal on May 21, 1738, he wrote, ” I saw that by faith I stood. … I went to bed still sensible of my own weakness, … yet confident of Christ’s protection.” (Source) Charles Wesley was never the same. This was Paul’s hope for the Jews, … that they too would come see that we stand by faith, not by our works. Believe this and you will never be the same. This summer in Illinois has been one of the dryest on record. It has hardly rained in two months! To make it worse, we have experienced record heats. Everything around here is brown. The grass isn’t growing. The crops are stressed. And yet, I have noticed that some things are growing: weeds. 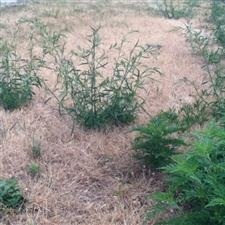 I find it amazing that even in the harshest of conditions, you cannot prevent the weeds from growing. They grow in the rain. They grow in the drought. This is so like our sin. Sin can grow when we are healthy spiritually. Sin can grows when we are unhealthy spiritually. Even when conditions are difficult for sin to take root and grow, it will somehow find a way. Yet, the good news is that “where sin increased, grace abounded all the more” (Romans 5:20). Praise be to God.